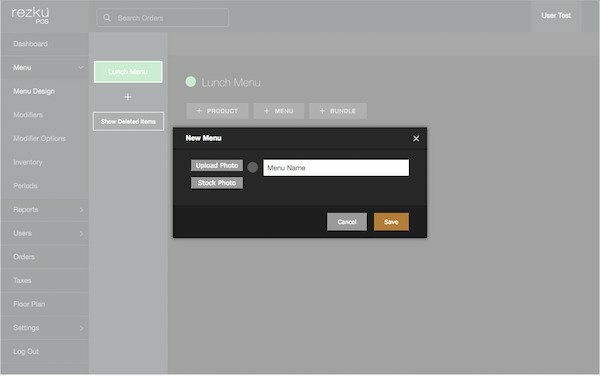 Before taking orders in Rezku POS, you need to create the menu for your restaurant. NOTE: A POS menu is more than just a list of items like a paper menu. The goal of good menu design is to create an efficient workflow for servers ringing up customers and reduce errors when sent to the kitchen. 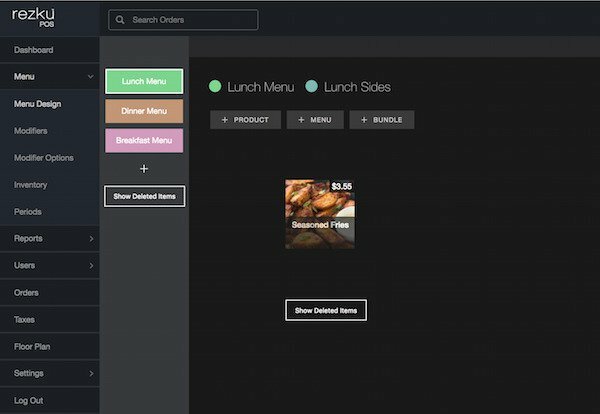 Rezku POS is very flexible and allows you to organize your menu in a way that works for you. An organized menu makes ordering fast and easy, so planning ahead is advised. The friendly Rezku support team is happy to help build your menu with you! “Categories” in the Daily Report and Date Range report are reflective of the top-level menus displayed when you begin a new order. 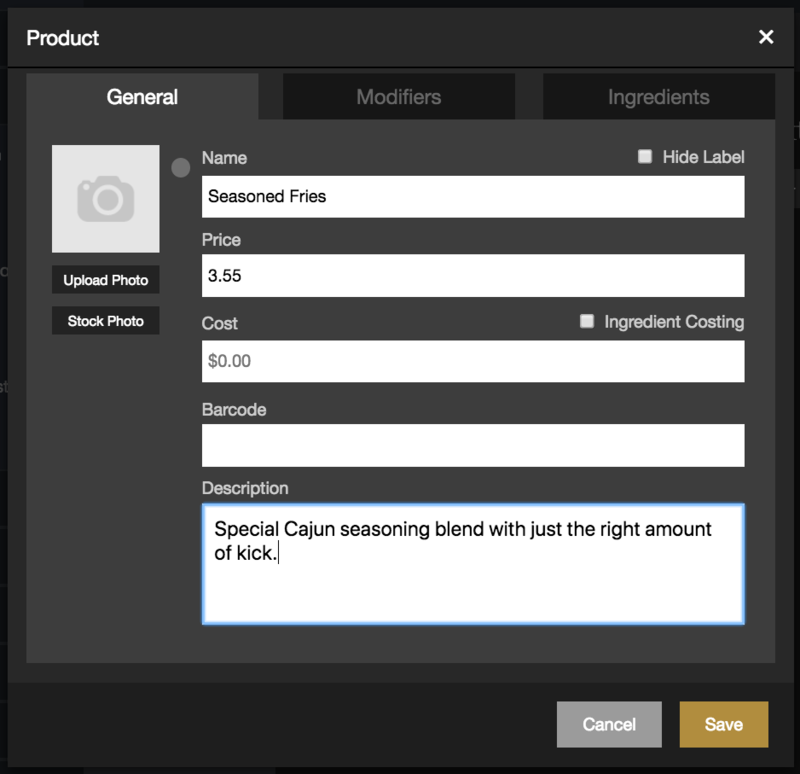 In addition to the top-level categories, you will add sub-menus to help organize products within a menu. On the Menu Design screen, you will see all your categories listed in the middle-left column. You won’t see any categories listed until you create one! To create a new category, click the + button in the middle-left column. When you click the + Button a pop-up window asks you to name your menu. Click on the Grey Circle next to Menu Name to choose a unique color to designate the menu tile. Where you click on the large square controls the lightness or darkness, where you click on the rainbow bar chooses the color. 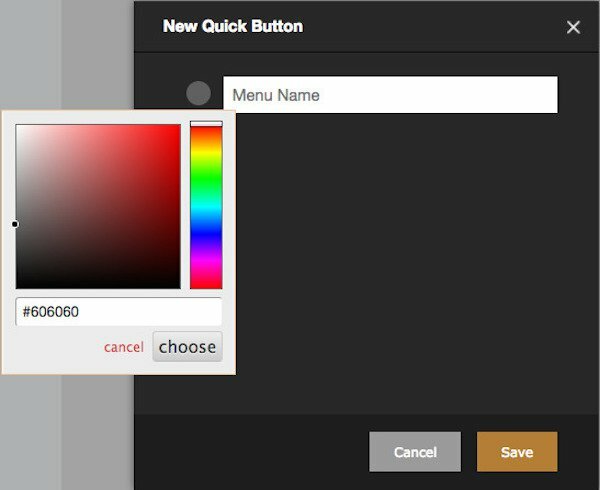 Setting a unique color for your Menus can help with memorization and provides a visual cue to servers when ordering. After picking a color and Name, click Save. A new menu category appears with the selected color. To edit the name or color, hover your mouse pointer over the Menu Name. A pencil icon will appear. Click the pencil to open the Edit Menu window to make changes. 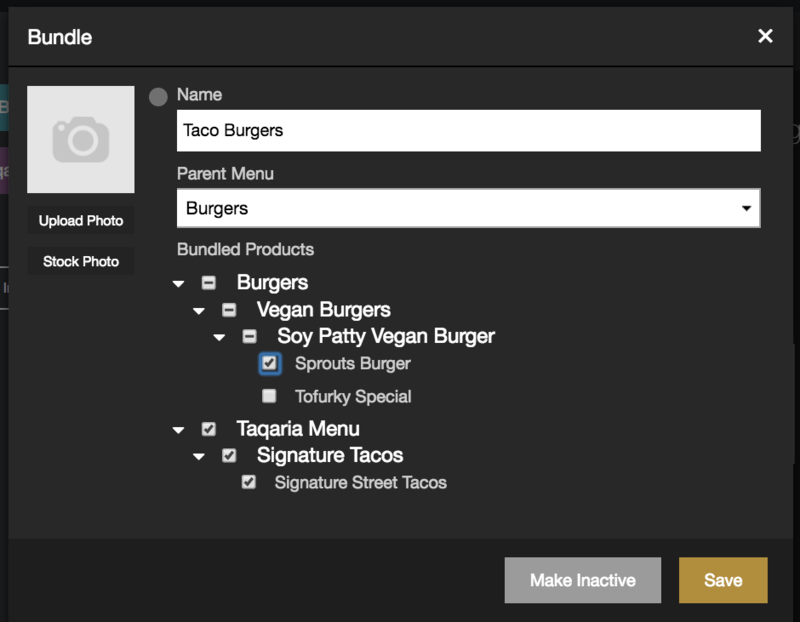 + Product - Add a specific food item, such as “Fries” to this level in the menu. 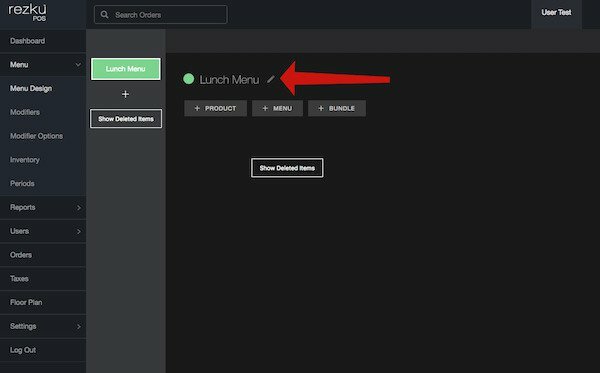 + Menu - Add a submenu to create a more specific product category, such as “Burger Menu”. Submenus help you stay organized and help servers find the products they need quickly. 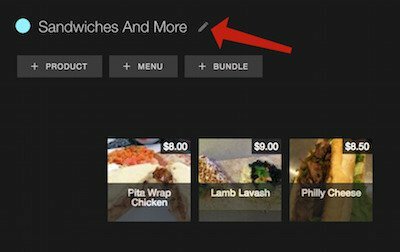 + Bundle - A bundle is a group of menu items that are sold together as one item. Bundles can be used to help organize items that are purchased together to save time when organizing. + Bulk - A bulk item is a product sold by weight. To sell products by weight you must use a compatible scale. We recommend the Brecknell 6710U POS food scale. A window pops up allowing you to designate the name and color for your new submenu. You also have the option to choose a photo. Any standard computer image file such as JPG or PNG can be used. Pictures for your menus and products don’t just look impressive, they can greatly help new servers save time when learning to take orders under pressure! After clicking Save, the submenu appears using the color. Reading from left to right, we see that the Lunch Sides menu is inside the Lunch Menu. 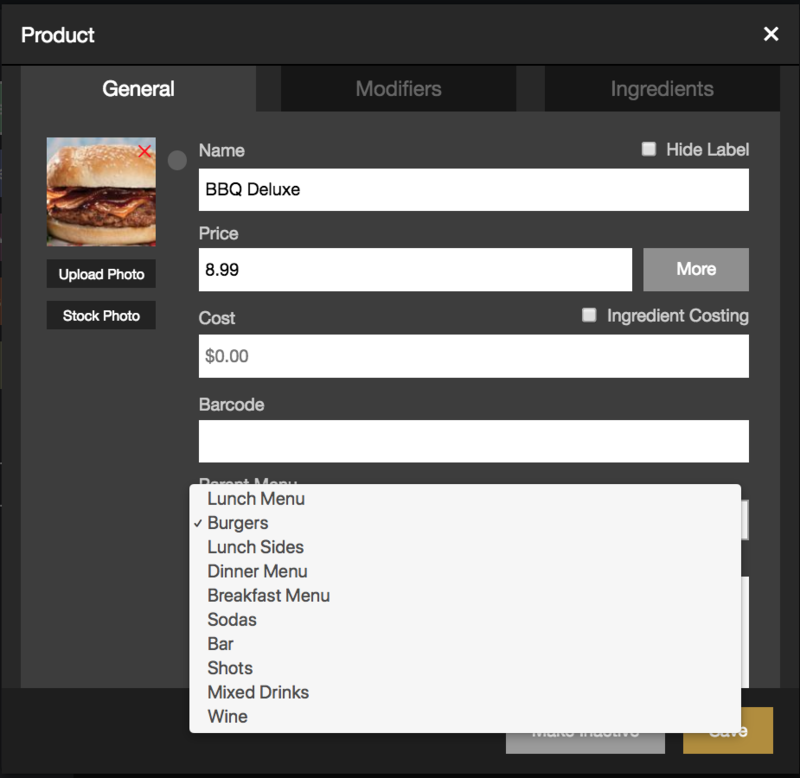 We can build deeper levels of submenus for more specific product categories. This is very helpful when dealing with a large menu. But we’ll stop here, and add our first product to the menu. A window appears to add the product name, price, tile color, optional display image, and printers. To add an image to the Product Tile, click Upload Photo. When image upload is complete, click Save to close the window. The product shows in the menu using the selected image. Bundles can be used to group multiple products on the menu into one. The New Bundle window appears. To add products to your bundle click + Product. In the Choose Products window, you’ll see all of your menus. 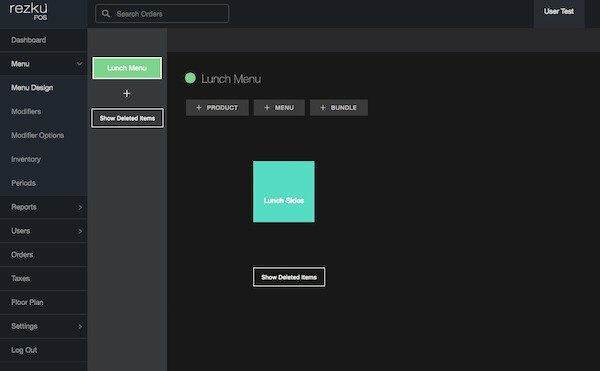 Navigate to the menu, sub menu and product you wish to add. Click Save to close the New Bundle window and create your bundle. The price of your new bundle is the combined price of the selected items. To change the sequence of menu items, simply drag and drop the tiles into the arrangement you want. 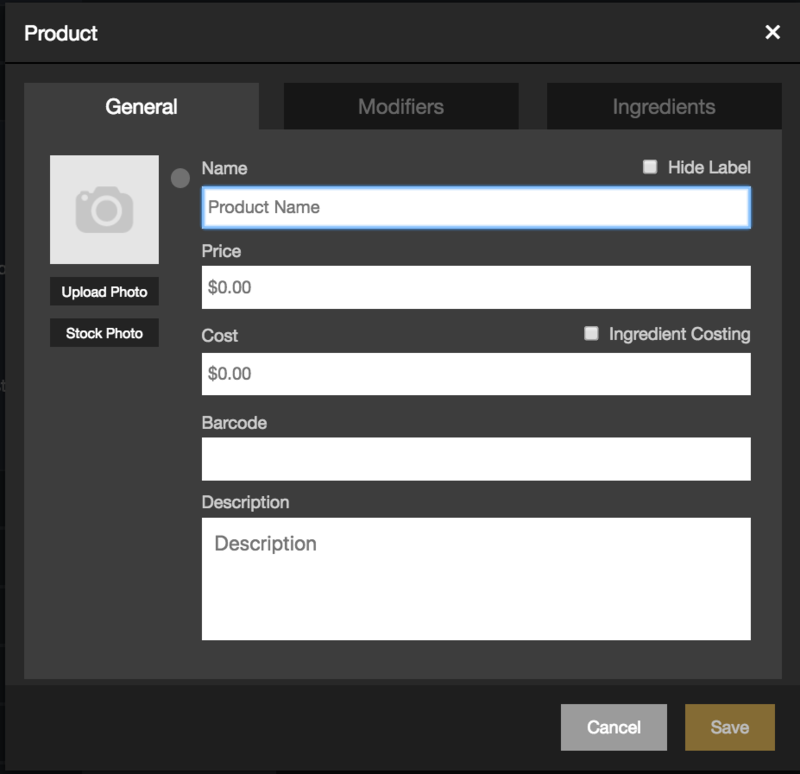 To move a product from one menu to another, click the product tile to open the Edit Product window. Click the “Parent Menu” drop-down and choose the sub-menu for the product. When you click Save, it will move to the selected menu. When you click Save, it will move the product to the selected menu. To edit a menu, simply click on the pencil icon next to the name. This opens the same window, just like when you created the menu. 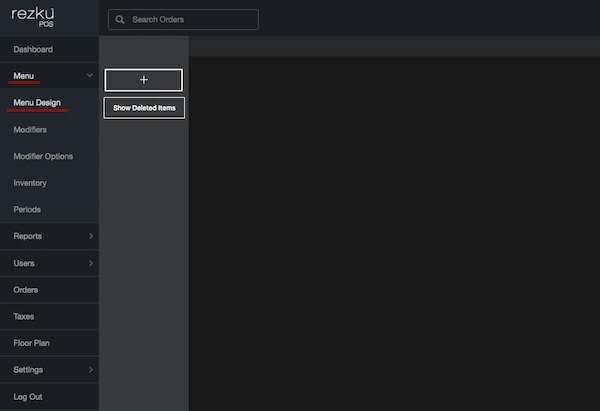 To edit a Product or Bundle, simply click the item in the menu. This opens an Edit Product window that is just like the Add New Product window. These topics will be covered in the advanced menu design documentation.